Image: Marvel Comics. Art by Erica Henderson and Rico Renzi. Please replace the word “Moon” with “Television” in the above speech bubble. Look, I’m gonna be honest with you guys: this new show is actually just called New Warriors. But I don’t care. It’s got Squirrel Girl in it. It’s the Squirrel Girl show. And it’s actually happening. Revealed by The Hollywood Reporter this morning, Freeform—the future home of another Marvel series, Cloak & Dagger—has ordered The New Warriors straight to series. Originally rumored a while ago, the series will be Marvel’s first foray into a 30 minute comedy show for one of its comic book properties. The New Warriors team first appeared in 1989, and have long since been a sort of Teen Titans equivalent for Marvel and the Avengers. Usually focusing on teen heroes, the group has been home to the likes of Nova, Firestar, Speedball, Darkhawk, Scarlet Spider, and many, many more over the years. They’re also the team responsible for kickstarting the events of the original Civil War comic event, which featured them accidentally blowing up a bunch of people in Stamford, Conneticut. Oh dear. 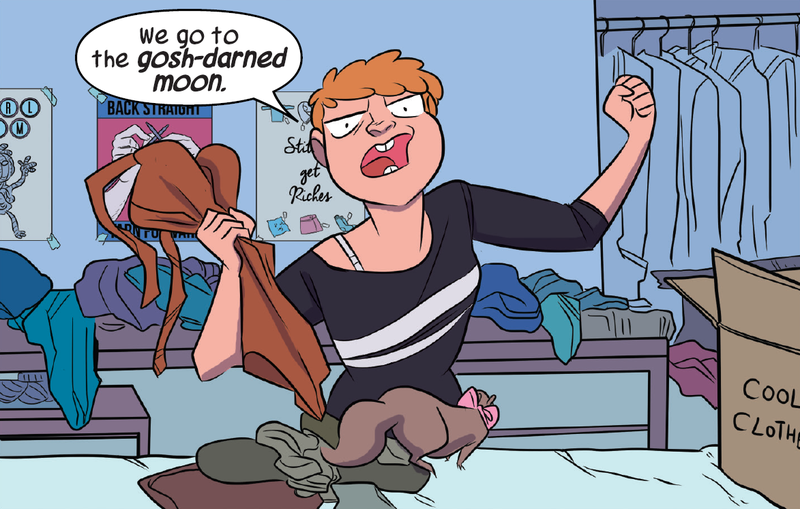 Doreen Green—the aforementioned Unbeatable Squirrel Girl—has never been part of the team in the comics, but will be alongside the New Warriors in the show, presumably thanks to the character’s resurgence as one of Marvel’s most lovable heroes in Ryan North and Erica Henderson’s amazingly delightful comic series over the past few years. Honestly, to be frank, I’m not even entirely sure why this show isn’t including her in the headline. The New Warriors as a concept are a really cool idea, but the draw for a lot of people is going to be getting to see a version of Doreen Green in live-action rather than Marvel’s premiere teen team. The 10 episode first season of Squirrel Girl: The New Warriors Are Here Too I Guess will hit Freeform in 2018.